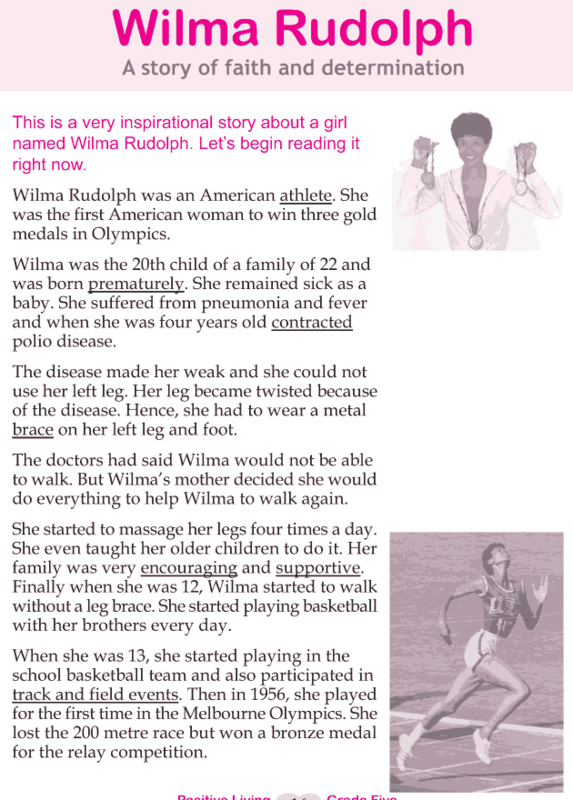 This is an inspirational story about a girl named Wilma Rudolph who overcame her disability and transformed herself from the sickest child to the fastest runner. She is a motivation for many people and has set an example of the power of faith and determination. Her dedication has encouraged many people to never lose hope and always go for the goal.